ATD San Diego is committed to providing our members and community with the latest learning related information available. We invite you to help us roll-out a robust year of programs, including emerging trends (e.g. learning technology), best practices, competency development and networking opportunities. Here's to knowledge sharing and we look forward to hearing from you! Have something to say to your fellow chapter members? Know someone who might want to speak at a chapter event? Complete the Speaker Proposal form and we will follow up with you for further discussions! Proposals will be collected continuously and reviewed. Due to the overwhelming response, we will only contact you if we anticipate using your program. We maintain a library of proposals, and you will be seriously considered for programs for not only in the current year, but also the next. 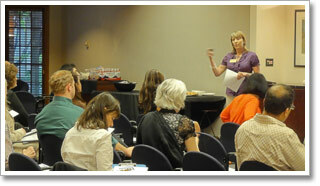 As a non-profit professional association, we do not typically pay expenses such as travel for presenters.